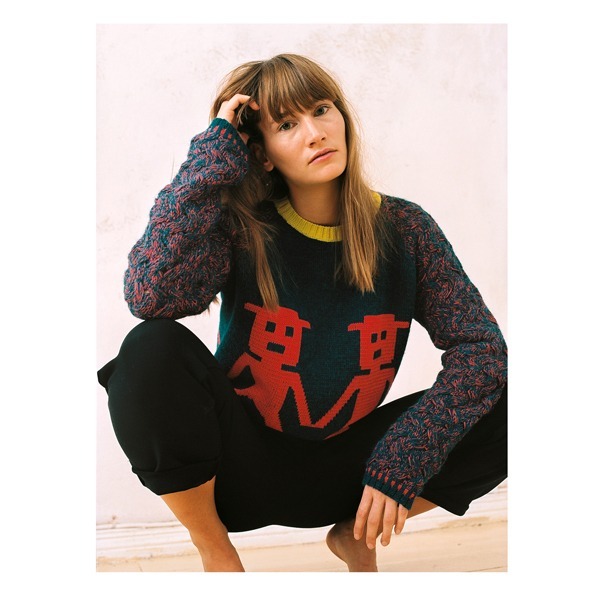 Fair knitwear garment, handmade in Peru | 75% Alpaca wool, 25 % Cotton | Intarsia knitting technique with 8 colours. | Matching beanie and loop scarf available. The most memorable experiences at school are usually not of an academic nature. Think of the fun days you had with your friends, the laughter you shared. Sweater Cuszco goes to that happy place with you. 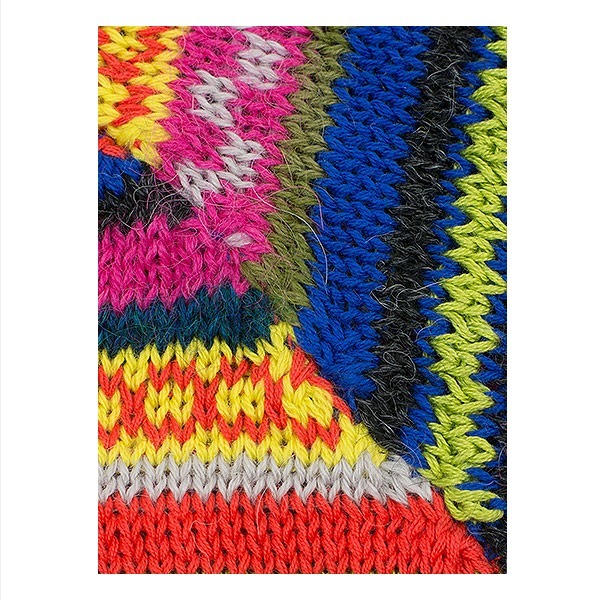 It was inspired by one colourful afternoon at the foot of the Andes mountain range. There, all the children had dressed up in creative outfits to celebrate the local school’s 25th anniversary. From trendy modern styles with a twist to beautiful traditional garments, their imagination was boundless. 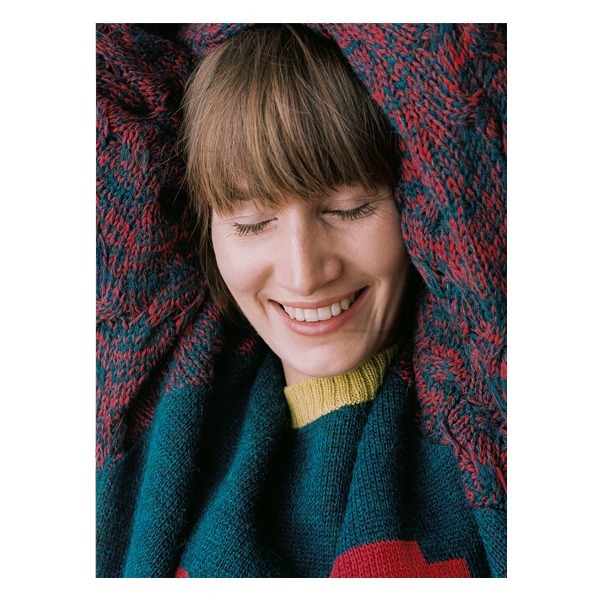 This handmade alpaca knitwear celebrates the diversity of ideas in many beautiful colours and patterns as well as the joy carefree creativity brings to everyone’s lives.